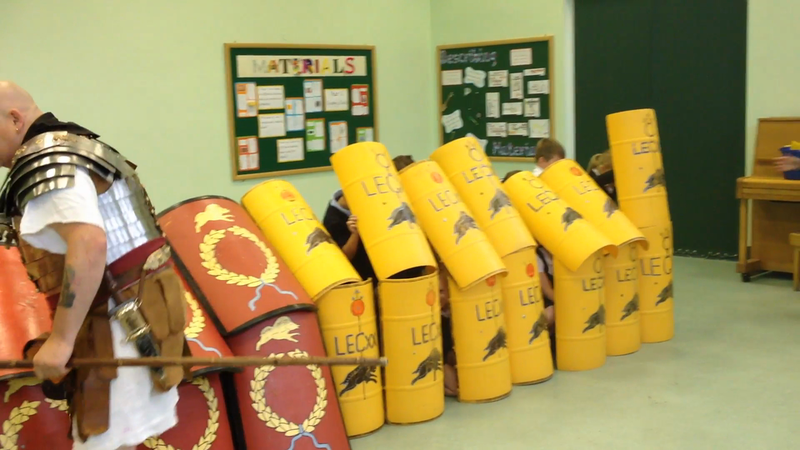 This week, we were lucky enough to be joined by not one but two Roman Soldiers! One told us all about life in a Roman army. The other one told us what it was like to be retired. We had the chance to learn all about how to use a shield. The armour looked really heavy. Dresing up as a Roman Soldier!